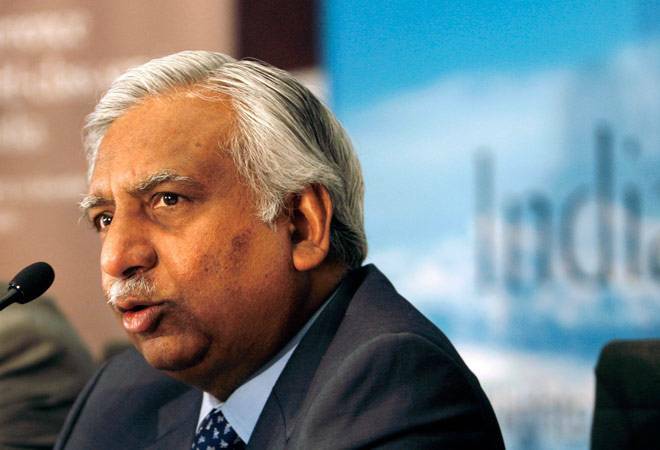 Jet Airways Chairman Naresh Goyal could soon step down from the restructured board of the beleaguered airline provided UAE-based Etihad Airways, which holds 24 per cent stake in the airline, pays “right price” to increase its stake in the airline. Notably, Goyal had last week rejected the Etihad proposal to buy an additional stake in Jet Airways for Rs 150 apiece. After several failed attempts to secure funding, payment defaults to lenders and salaries to the Jet employees, the Jet promoter has reportedly decided to step down from the airline board if he gets the “right valuation” for the additional stake, a Times of India report said. As per the rule, if new management takes over a company, it has to also offer 25 per cent additional shares for the general public. Goyal last week had told the SBI that he is ready to invest up to Rs 700 crore in the airline on the condition that his stake does not fall below 25 per cent but the Etihad proposal, which comprised strict conditions like demand for his resignation, didn’t go well with him. According to Jet Airways’ shareholding pattern on the Bombay Stock Exchange, as of the quarter ending December 2018, Goyal owns 5,79,33,665 shares, amounting to 51 per cent stake in the company. Goyal has been making all possible efforts to seek funds to keep the airline afloat, which is facing the pinch of high fuel price and intense global competition in the aviation sector. In its hunt for an investor, the Goyal-led company had earlier knocked on the door of India’s richest man, Mukesh Ambani, in October. Before that, he had also approached the salt-to-software conglomerate Tata Group to buy a large stake in the loss-making Jet Airways. The Tata Group already owns a substantial stake in two carriers – 51 per cent in Vistara and 49 per cent in AirAsia India. With Jet under its fold, the Tata Group-owned airlines would have a combined market share of 23.6 per cent as compared to 41.9 per cent for IndiGo, as per August data. Goyal has also talked to several international airlines for potential fundraising. Jet Airways had a gross debt of Rs 8,620 crore as on June this year and net losses of Rs 724.94 crore in 2017/18. The airline has a negative net worth of over Rs 7,000 crore.